Right now we have several film cameras but we are only using the Hasselblad to shoot new film. 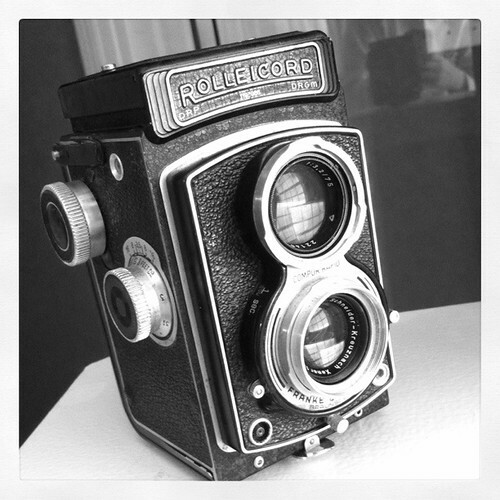 My husbands grandfather had an old Rolleicord that we inherited but its dirty and needs to be cleaned before it can be used, the dream would be to find a usable Rolleiflex or LEICA. The Hasselblad is certainly one of the best so we are very happy with it. I’ve purchased a few old Nikon and Canon film cameras but I have yet to try using any of them. The Hasselblad is my fathers from the early 90’s so it’s in great shape and takes amazing photos. We have a 60mm lens for it. Once digital came along my father sold his other lens’s so we are in search for some good used lens’s for it.